NEW DELHI: With her bladder fit to burst on a recent ride with an all-female motorbike club, Vidhi Malla chugged on her 350cc “Thunderbird” into a fancy highway eatery near New Delhi and rushed to the toilet. But to her disgust, if not to her surprise, the facilities stank and the seat was splattered with urine, forcing the 34-year-old to get back on her bike and wait till she got home. Indian Prime Minister Narendra Modi will trumpet progress in improving access to toilets at a Delhi convention starting this weekend-but as Malla’s experience shows, there is still a long way to go. Some help is at hand from local startups providing ways to avoid coming into contact with or clean up filthy toilet seats, which doctors warn pose a health risk to many women. “Toilets are a huge issue. Once I caught an infection from using a loo in a big hotel,” Malla, a public relations consultant, told AFP. Malla’s friends in her bike gang recounted their own horror stories-from bins overflowing with used toilet paper to wiping the seat with the edge of their dresses. Using a dirty toilet, not drinking enough water or holding urine for a long time puts women at a greater risk of urinary tract infections, a painful complaint that half of women report having had at least once. Indian toilets “are a breeding ground for infections”, gynaecologist Anshu Jindal told AFP. New businesses tackling the problem are tapping into a feminine hygiene sector forecast by Euromonitor to grow to $522 million by 2020 from $340 million now as India’s middle class swells. 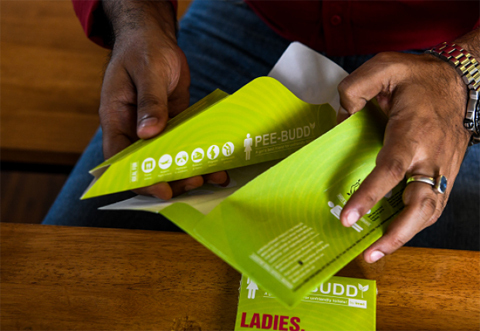 India’s first female urination device, the PeeBuddy, is a simple candy-green cardboard funnel laminated with water-resistant coating allowing women to keep their distance from loo seats. PeeSafe meanwhile, dispensed from a purple spray can, is a seat sanitiser. “We have sold 750,000 units in the last 18 months and we are now present in 10 other countries,” said Vikas Bagaria, founder of PeeSafe. Innovations like these have helped to “liberate” women like Malla, she says, meaning they don’t have to think twice before hitting the road. Such issues are set to figure highly at the Mahatma Gandhi International Sanitation Convention, running from Saturday to Tuesday. The event, coinciding with Gandhi’s 150th birthday, is hosted by Modi with UN chief Antonio Guterres in attendance alongside ministers and experts. A lack of sanitation remains a burning issue for India-and much of the developing world-despite an aggressive drive by Modi’s government since he came to power in 2014. His government says it has slashed the number of people forced to defecate in the open from 550 million in 2014 to less than 150 million today. But the state of existing toilets still shocks. The capital Delhi, for example, a megacity teeming with 19 million people, has just a few hundred public washrooms. A survey of 200-odd toilets by Action Aid last year found 70 percent of them unclean and without a water supply. 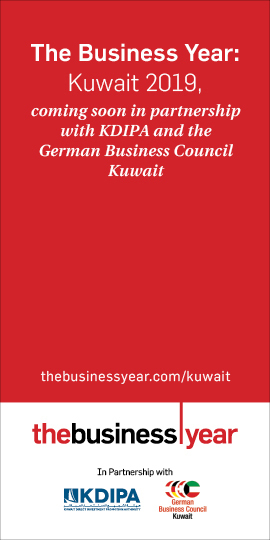 Entrepreneurs abroad have also created products to help women but they are often prohibitively expensive in a country where hundreds of millions of people live on less than a dollar a day.